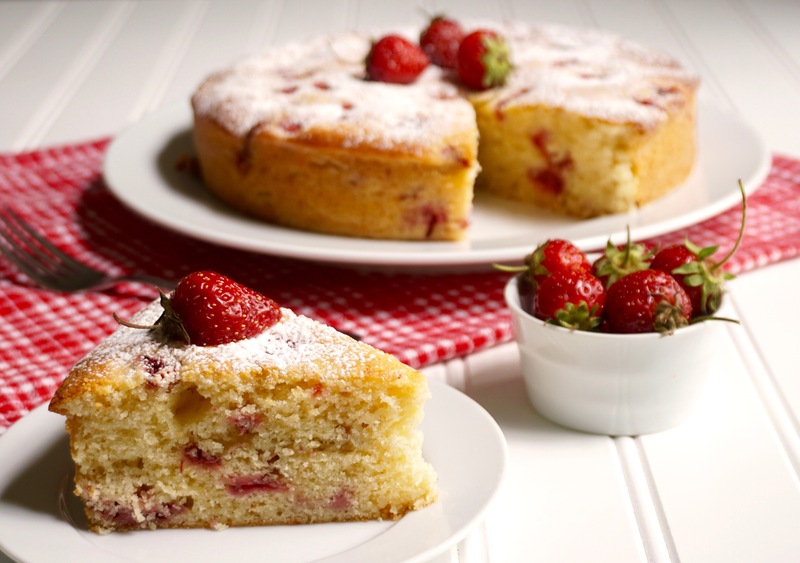 Strawberry Ricotta Cake is a moist vanilla cake baked with strawberries. 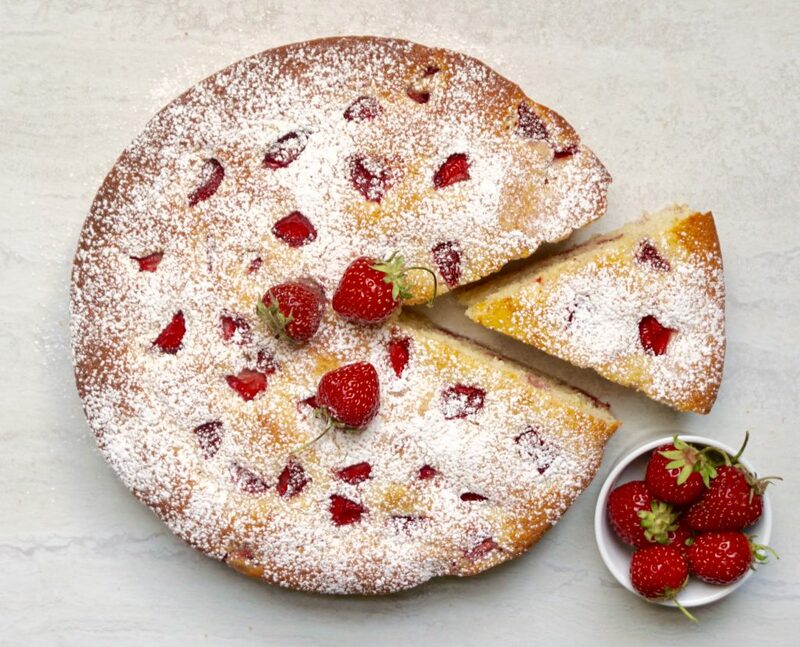 This Strawberry Ricotta Cake is a simple cake and great to have in your line up. This cake is easy to make, you don’t have to haul out the mixer ,and it is delicious enough on its own that it doesn’t even require frosting! 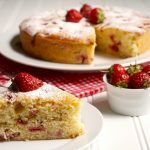 Strawberry Ricotta Cake is a moist, vanilla flavored cake that is baked using fresh strawberries. Strawberries are in season in New England and I have been canvassing local farmer’s markets to find the best local berries. I find the difference in strawberries when purchased from a farmer’s market is like night and day. I would highly recommend buying strawberries whenever you see them at a market and then baking this cake with your bounty! The moisture of this cake comes from the ricotta cheese. I understand that you might not want to buy an entire container of ricotta for the one cup this cake needs. The good news is that ricotta cheese is a very easy thing to make yourself at home! You most likely have the ingredients in your pantry or fridge. Check out this Ricotta Cheese recipe if you want to try this yourself. 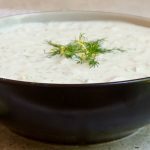 If you cut the ingredients of this recipe in half, it will make one cup. Preheat your oven to 350 degrees. Grease and flour a 9 inch round cake pan. Melt the butter in a small saucepan and set aside so it can cool slightly. In a large bowl, combine the sugar, flour, baking powder and salt. In a medium bowl, whisk together the eggs, ricotta and vanilla. Gently stir into the dry ingredients. Stir in the melted butter and combine well. Gently stir in 3/4 cup of the strawberries. 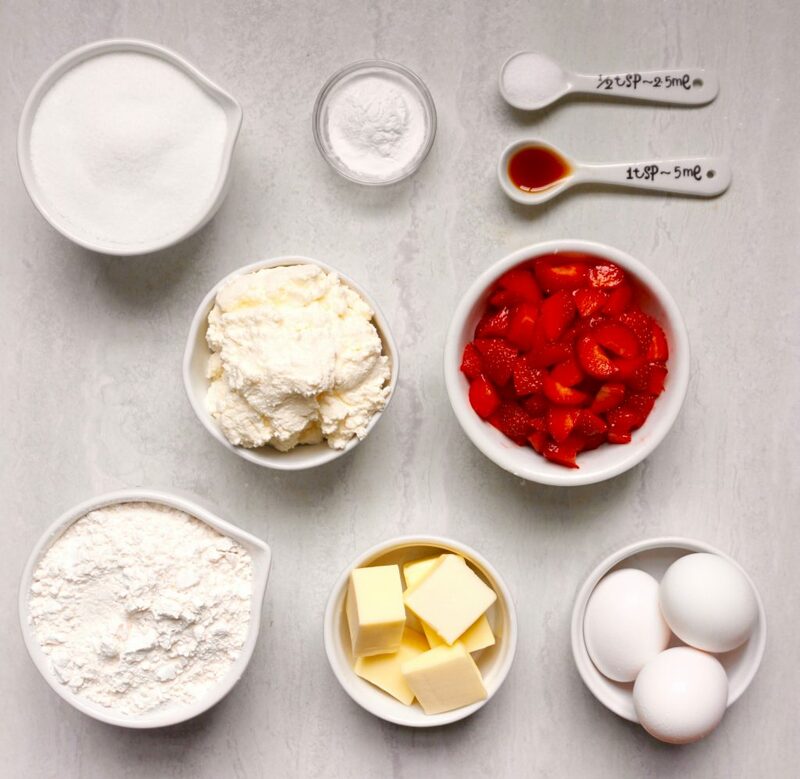 Pour the batter into your prepared cake pan and sprinkle the remaining strawberries over the top. Bake for 45-50 minutes until a toothpick inserted into the top of the cake comes out clean. Let the cake cool in the pan for 10 minutes. Remove to a wire rack and let it cool completely. You can serve the cake as it is or lightly sift powdered sugar over the top and add a few fresh strawberries. I received a message from a reader today who baked this cake! 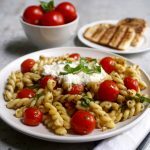 Whole Foods sells an 8 ounce container of Ricotta which is exactly what you need for this recipe. I always appreciate helper reader comments! A simple dusting of powdered sugar and a few fresh strawberries finish the cake off nicely.